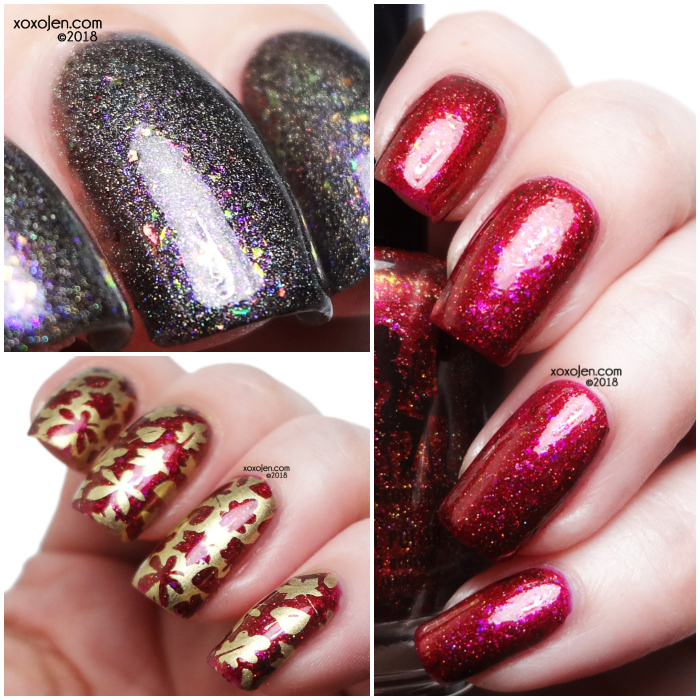 Girly Bits brings us the color of the month duo for October, a fiery magenta red, and rainbow packed charcoal holo. These are available right now, through November 1 at the Girly Bits website. These polishes are 5 free, cruelty free, and vegan friendly! 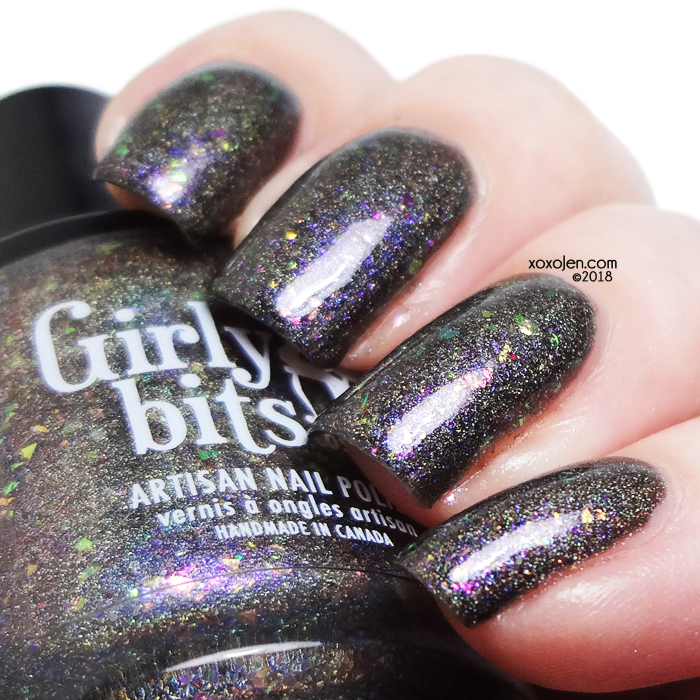 The sheer black base gives a charcoal effect color, and is opaque in two coats. I LOVE the rainbow of color within it. Shown is two coats, formula was fantastic. 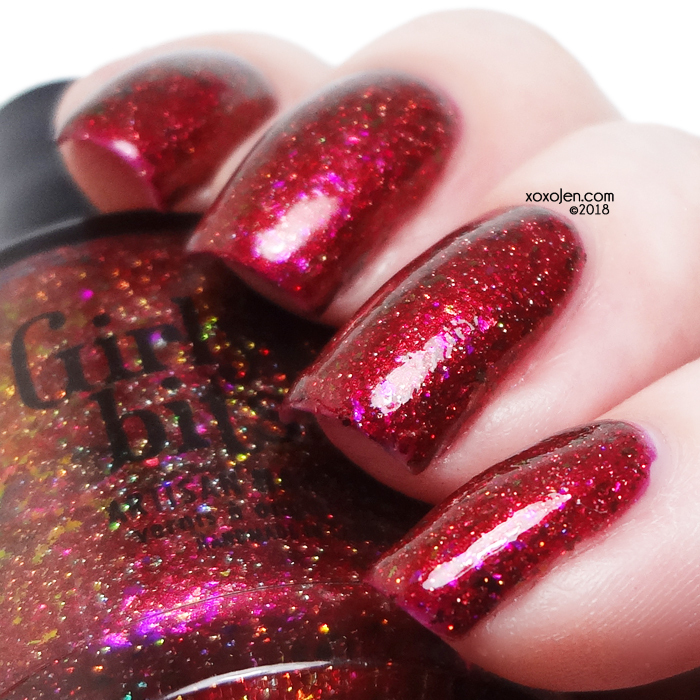 Red Sky at Night is a vibrant burgundy-red base, with a fiery shimmer, fuchsia-copper multi-chrome flakes, and holographic gold micro-glitter. 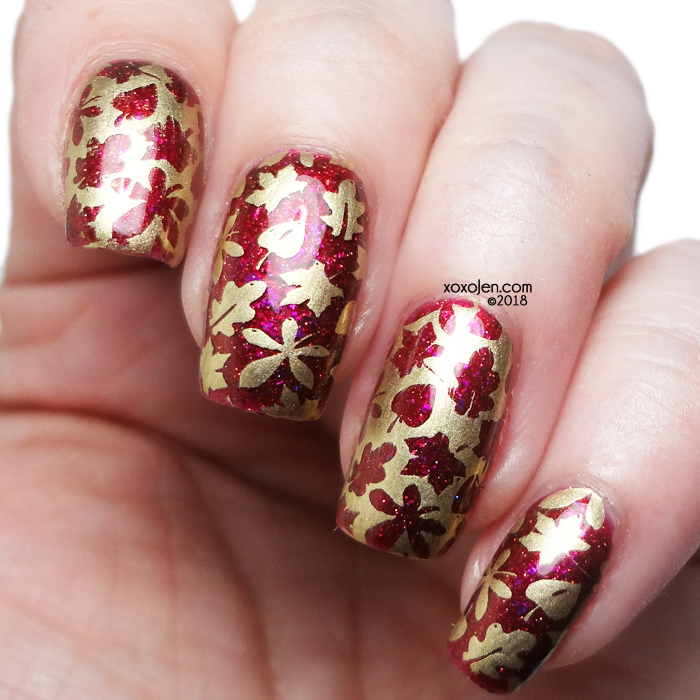 It is like a sunset on your nails! As I move through different lighting situations, I notice flashes of pink, gold, and red. 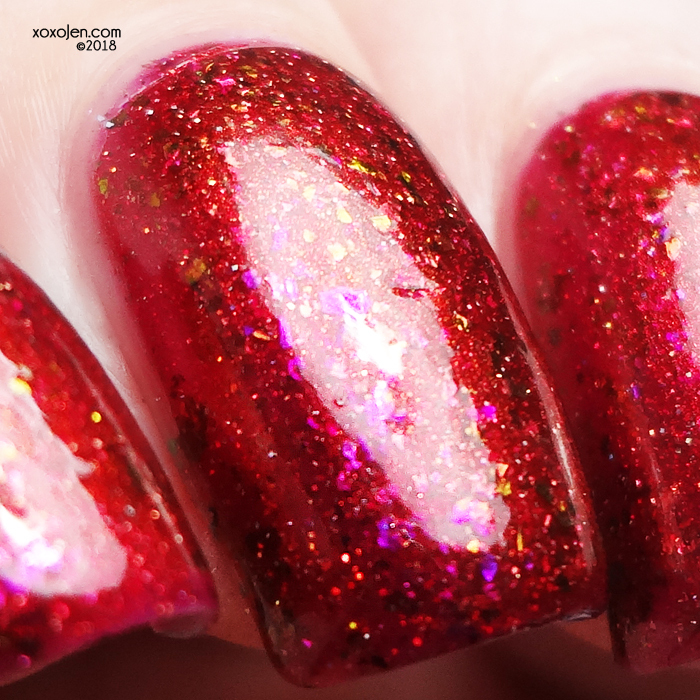 Just like a fantastic sunset, but full of sparkle! Shown is two coats, formula was fantastic. 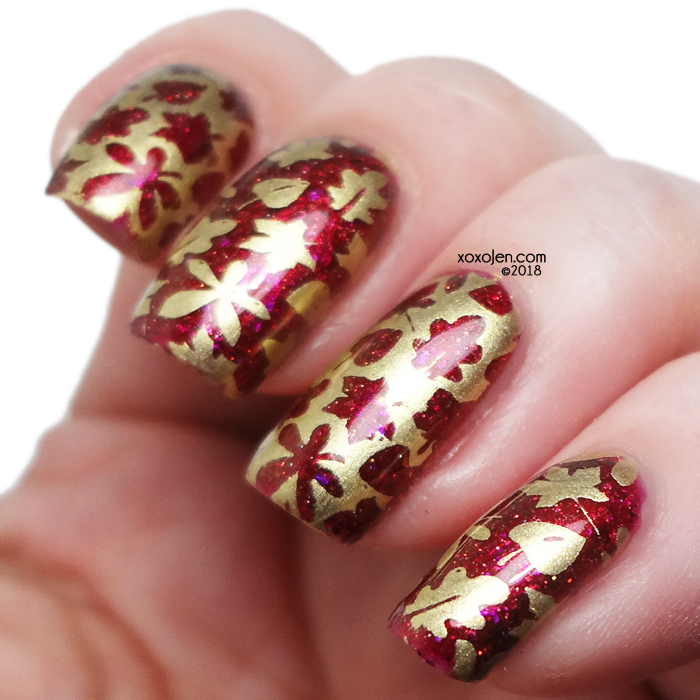 Stamped with Hit The Bottle Spun Gold and Uber Chic Lovely Leaves plate 01. These are available right now, through November 1 at the Girly Bits website. These polishes are 5 free, cruelty free, and vegan friendly!